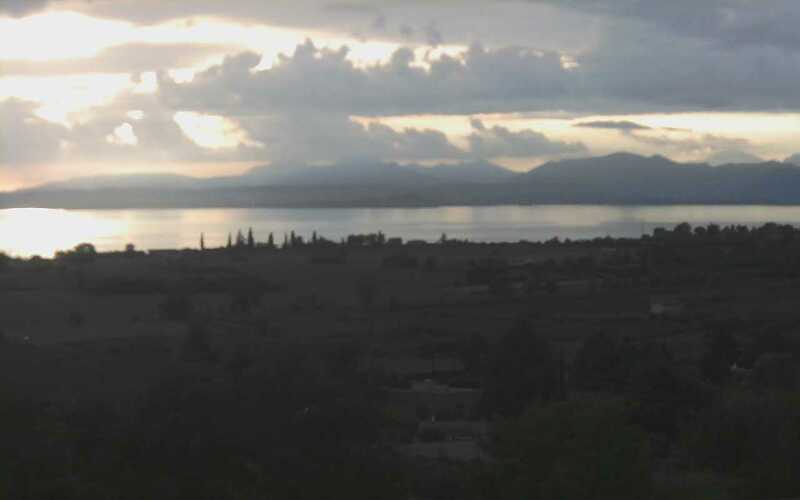 Lake Garda in the town of Lazise. 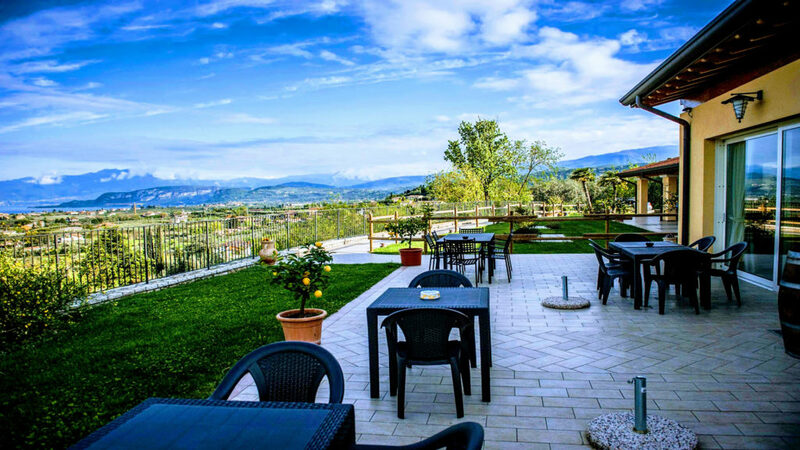 The hotel is surrounded by vineyards and olive trees which frame beautiful sunsets. Peace and tranquility are the words that best describe the atmosphere of the brand new environment of the agritourism immersed in nature. 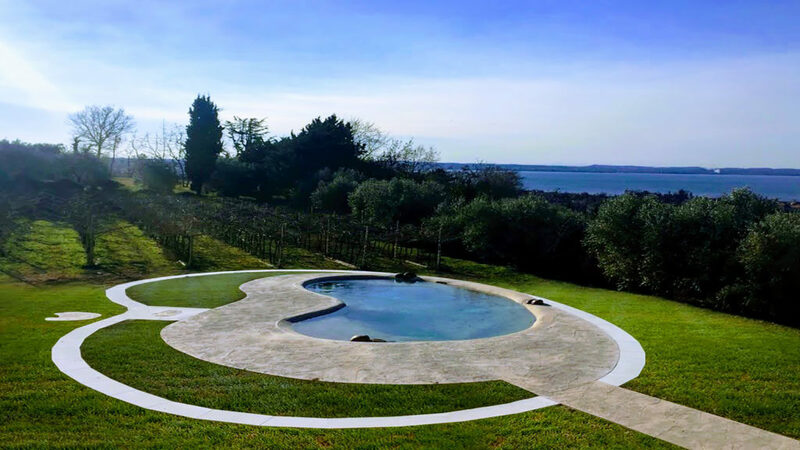 This charming place boasts an elevated position among olive trees, woods, meadows and vineyards, overlooking the colourful lake landscape featuring Sirmione, the tower of St. Martin, Garda Island and the beautiful promontory of St. Vigilio. Our double bedrooms have been furnished in the Venetian Trentino style with solid wooden furniture lacquered by hand. We also offer three triple rooms in our agritourism. The two rooms located on the first floor feature a balcony with a lake view. Cantina Bottura the true heart of our company. Here we produce and preserve wine, made from our grapes, which is the best expression of our warm and sunny hospitality. The ideal destination for rest and refreshment, wine tasting or for a visit, the cellar is the doorway to the Agriturismo “IL GRAPPOLO’’. Here we will be proud to show you the result of all the painstaking work that takes place in this universe. Discover our wines and taste them during your visit or buy them as a souvenir of your unforgettable holiday. The people who live and work here are happy to provide you with information and to convey the true secrets and curiosities from the world of wine. Down in the cool the basement rooms, you enter a fascinating world made from tradition. Giuseppe Bottura oversees the vilification of the grapes in modern stainless steel tanks, with manual fermentation methods, ensuring the production of quality wines. A favourable and friendly location, our wine cellar is the ideal place for wine lovers and for those who want to learn the origin and tradition of our family. All of the rooms feature an ensuite bathroom with showers, satellite TV, safe, wi-fi connection, large mirror and hairdryer. They are equipped with an air conditioning system that can be directly adjusted in the room. Outside, in the garden, you will find a spacious pool. You will also find a spacious and bright breakfast room overlooking the outdoor lake-view terrace, where you can enjoy delicious breakfast from our rich, sweet and salty buffet with homemade cakes.